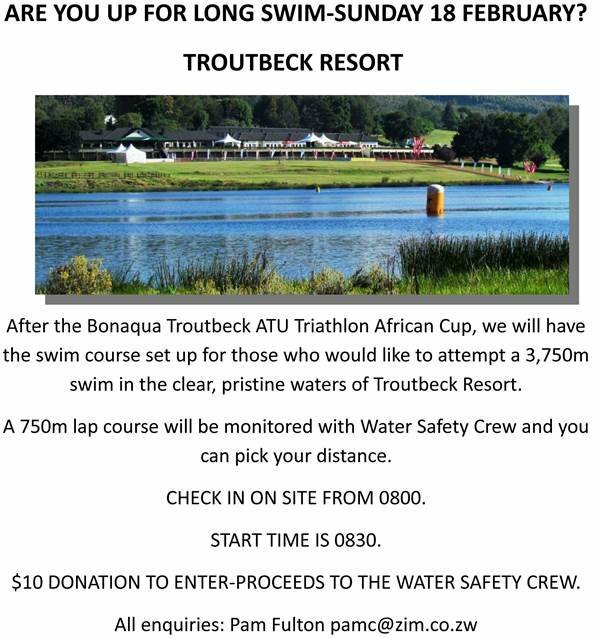 A 750m lap course will be monitored with Water Safety Crew and you can pick your distance. Check-in on-site from 0800, start time is 0830. 410 donation to enter-proceeds to the Water Safety Crew. All enquiries ; pam fulton pamc@zim.co.zw.